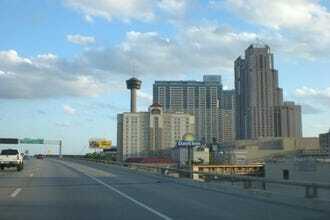 Due to San Antonio’s variety of accommodations, visitors should choose a hotel with their trip itinerary in mind. If your stay involves significant time downtown visiting attractions like the Alamo, stay on the River Walk or within walking distance. Enjoy history? You can stay next door to the Alamo at the haunted Menger Hotel. 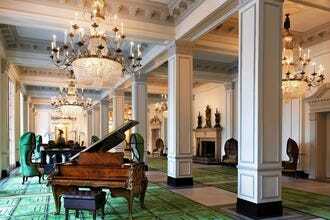 The Menger reports more than one ghostly apparition with Teddy Roosevelt being the most famous. Prefer to stay on the River Walk? 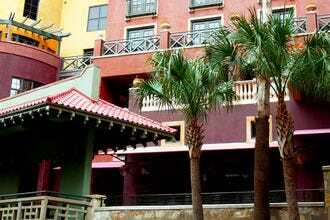 Palacio del Rio is now a Hilton property offering four restaurants and its unique construction is a landmark in San Antonio’s architectural history. For those visiting Six Flags or Sea World choose accommodations in the northwest part of the city or even in the surrounding Texas Hill Country. Your choices include budget friendly hotels, world class resorts and quaint inns that offer gourmet dining experiences. 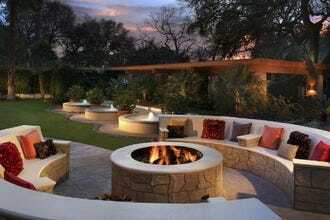 San Antonio’s newest luxury hotel is the Eilan Hotel Resort & Spa. As an eco-friendly resort, Eilan practices sustainability throughout the property. Northeast San Antonio embraces Schlitterbahn, Landa Park and other destinations. Fun options in this area include cabins and homes for rent along the Comal, Guadalupe and San Marcos rivers. Looking for something out of the ordinary? River Road Treehouses is exactly what it sounds like: lodging in the treetops! 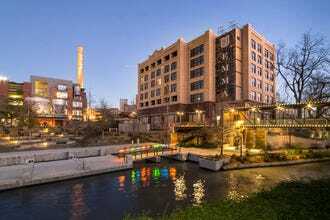 Like San Antonio’s diverse culture and colorful history, your choice of hotels and accommodations is almost as delightful as your decision to visit San Antonio.